This is all coming off of a recent episode where Lisa confronted Erika regarding a condolence note. Erika felt she was opening up in a big way, and Lisa found it all to be too cold. In that episode, Erika shared that she knew that would become an issue so she took a snapshot of the note. We have yet to see concrete proof of LVP’s involvement, but she is widely speculated to be behind the ssetup All of the dog drama led to a SELF IMPOSED isolation from the group. Nobody made her leave. Self. Imposed. Has Erika spoken to LVP since this all went down? She told Mila, “No! What are we gonna talk about?” They could talk about the fact that if most people decided not to show up for work, they’d be fired. Many believe there’s a double standard when it comes to LVP. Erika also made it very clear whose side she was on in all of this. While she admits to believing Teddi, she says that overall she’s, “on the truth’s side.” The truth is buried somewhere in the bottom of a bottle of rosé, guarded by a Carlton Gebbia protection spell. We’re never getting it! 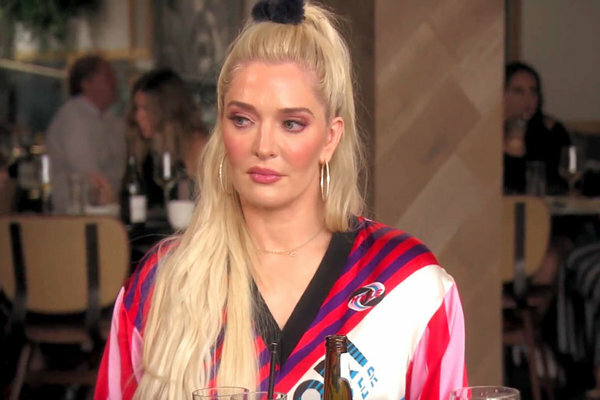 We’re thinking Erika and Teddi’s newfound friendship could hit a rough patch later in the season. Especially given the comments in the trailer where she accuses Teddi and Kyle Richards of being in cahoots. CAHOOTS ABOUT WHAT? As for Lisa’s reunion status, Erika was short and to the point. She responded with a simple, “I don’t know.” Would it make Lisa a hypocrite for pulling an Adrienne Maloof? Let’s Vanderpump the brakes a little because a lot can change between now and then. TELL US – DO YOU BELIEVE LISA OR TEDDI? DO YOU THINK LISA WILL SHOW UP TO THE REUNION? Is Brandi Glanville Nearing A Full-Time Real Housewives Of Beverly Hills Return?